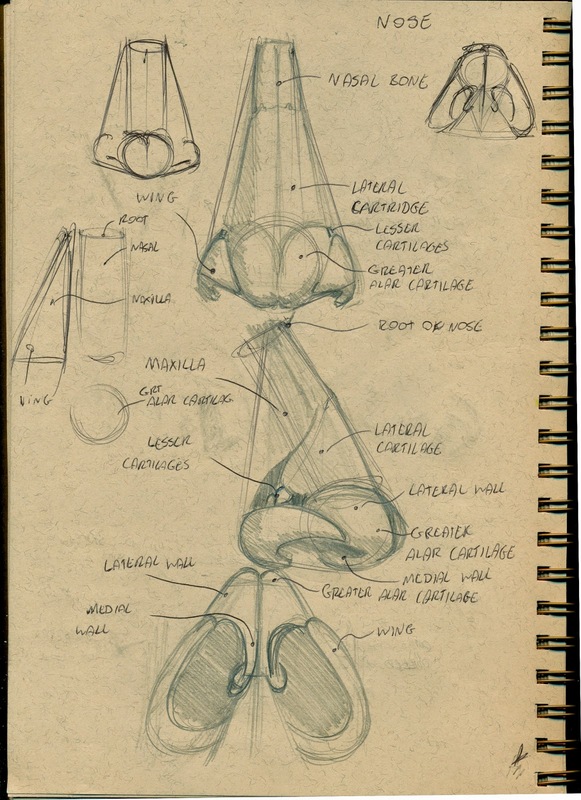 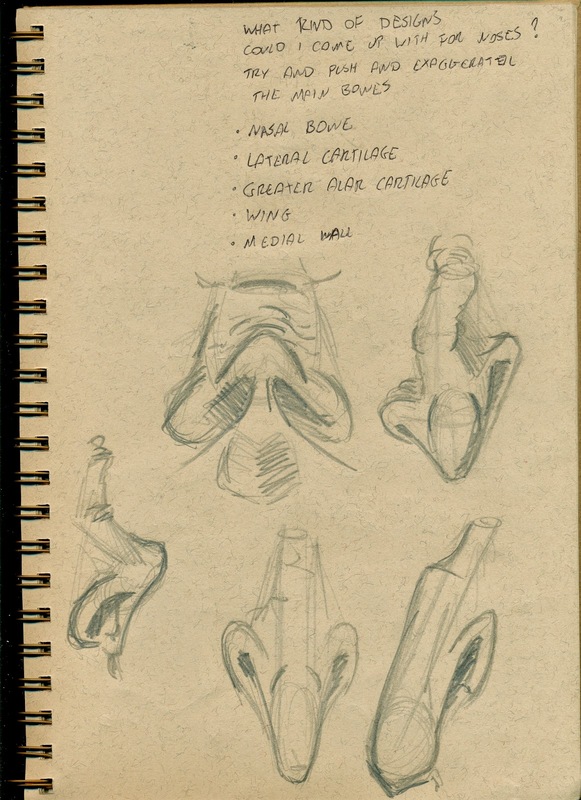 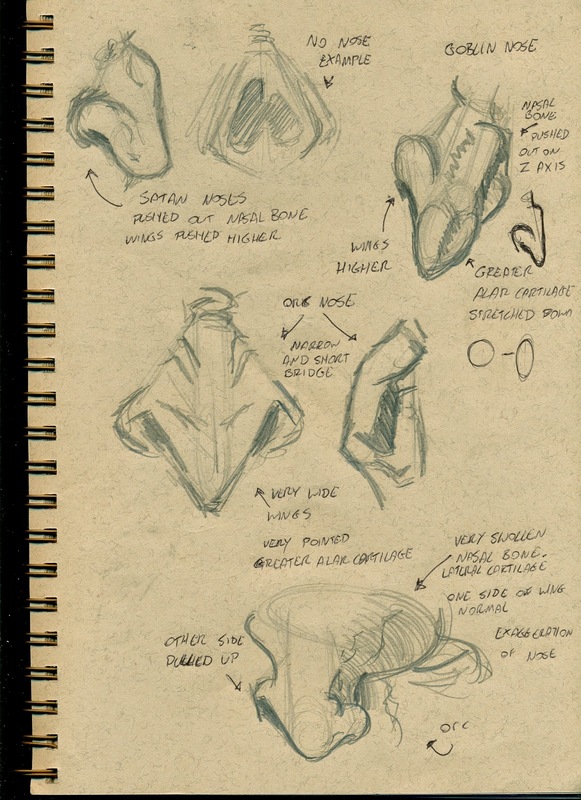 This is a few sketches of noses from learning the parts of the nose like the nasal bridge, wings and the lateral wall. 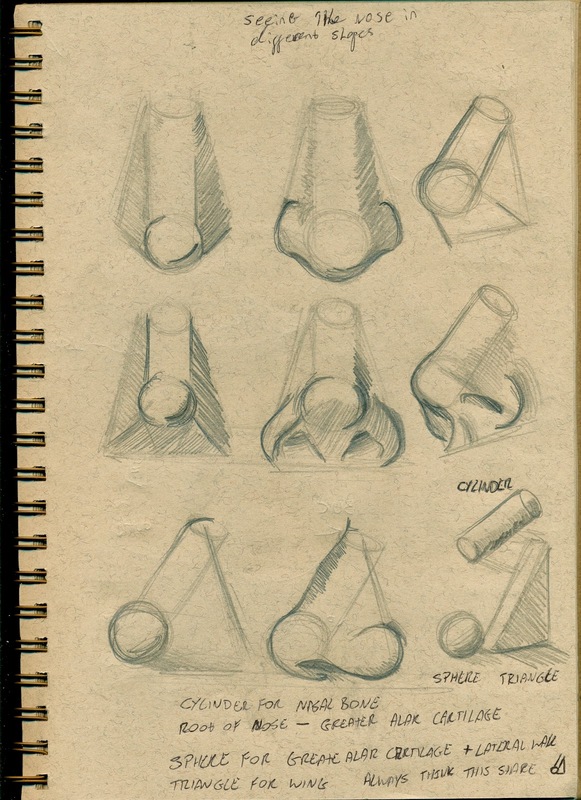 To simplifying the nose into 3 basic shapes to remember for drawing in future sketches. 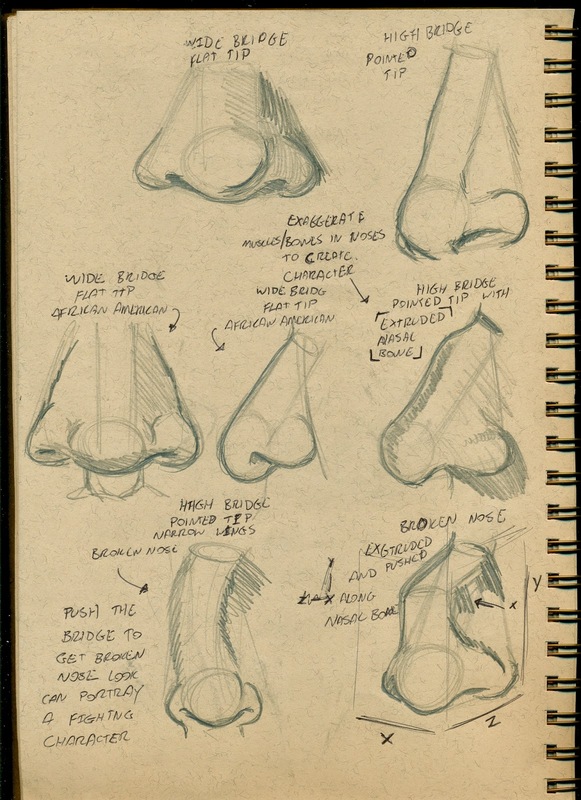 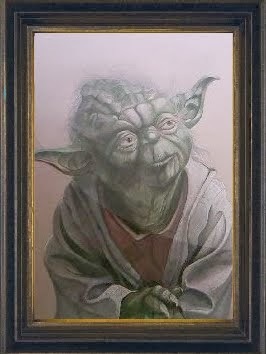 I even studied how noses have changed onto different characters and tried to come up with a few of my own.